I am so excited about this event. Our move to Santa Barbara’s Funk Zone gave us an opportunity to be part of a community that is creative, unique and just like us, a little bit quirky. Coming up this week, on Saturday to be precise, is our chance to put out our welcome mat and say “come on down” and see not just great art from us at the gallery, but from our very cool neighborhood. We are thrilled to support the artists that live and work around us. It is a day full of art, wine from the really delicious wine tasting rooms on the wine trail, food trucks in the hood, and music. The neighborhood will be hopping, and I hope you will stop in and see what can happen when we hold a big block party. Here is a list of artists studios and events open this Saturday October 6th. 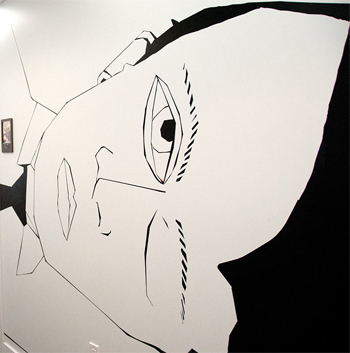 Come by the gallery, if you haven’t seen Grace Weston’s show “Mind’s Eye”, get over here. We will also be pulling art out of our flat files and showing all of our talented artists great work. I’m looking forward to seeing you all here. The Santa Barbara Arts Collaborative is organizing a neighborhood-wide event in the Funk Zone that will take place on Saturday, October 6th from 10a – 2a. Focus on the Funk Zone is an all-day event highlighting the value of the the area’s artist/artisan population, it’s architectural heritage, and unique mix of locally owned businesses. It will also be a chance for visitors to experience first-hand the neighborhood’s unique culinary and cultural offerings including food and wine specials, exclusive dining experiences, and guided tours of the area’s creative community. 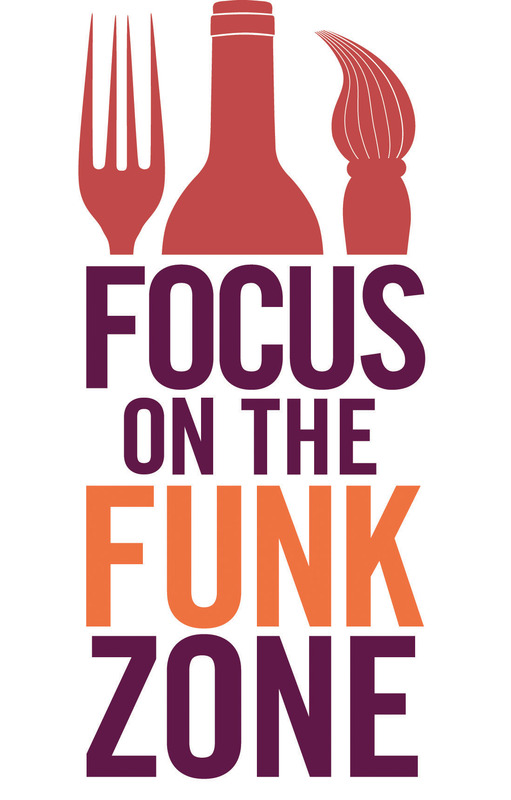 Focus on the Funk Zone is an opportunity to show people the value of the hidden and not-so-hidden treasures that make this neighborhood so special. It is also a day to showcase the type of lively arts oriented atmosphere that can be created when the community comes together to promote a future for the neighborhood that is explicitly arts/culture-centric and preserves the unique demographic of the area. Focus on the Funk Zone is quickly approaching us. It will absolutely be an event you wont want to miss. A day full of celebrating great art, music, and food with everything located all within walking distance in beautiful Santa Barbara. What more could you ask for? Here’s a list of some of the artists and venues and a little about what they will be showing during the event. A.M.A.S.S. stands for Artists Making A Street Scene and will include eighteen outdoor street murals rotating quarterly. The murals will be featuring local artists with new installations and live art. 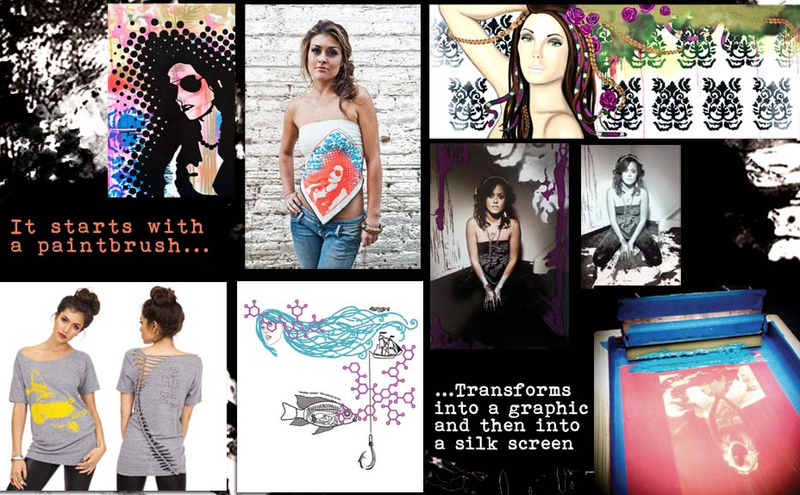 They will be hosting a live screen printing party in the shop. Patrons can pick out their style and color of blank garment to print on. Then they choose from different pieces of art and different colors set up on the press. 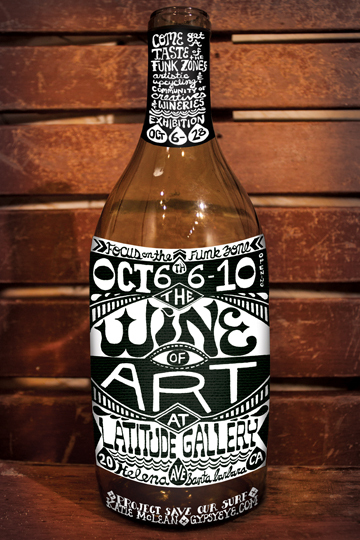 The Wine of Art will exhibit the Funk Zone’s Knack for artistic upcylcling, concentration on wineries, and community of surfer. Reusing bottles, barrels, and crates as canvases, artists will pay homage to the drink that fuels so many creations. The opening will benefit Project Save Our Surf, an ocean conservation foundation fighting pollution. The evening will entertain with live music and wine. Lindsey, a specialist in historical photographic processes, will be available to photograph tintype portraits. People are welcome to drop by and watch while she demonstrates the process or they can sign up to have their portraits taken. There will be a charge for the portraits. Art with live music + wine event. Sit and Sip. MichaelKate Interiors and Gallery presents SIT AND SIP, Style and grace based on the beauty of clean design, function and uncluttered comfort.Enjoy a glass of wine in our showroom, become refreshed and buy an amazing piece of art from our “Paintings of the Buildings of the Funk Zone” exhibition. Live music outside. 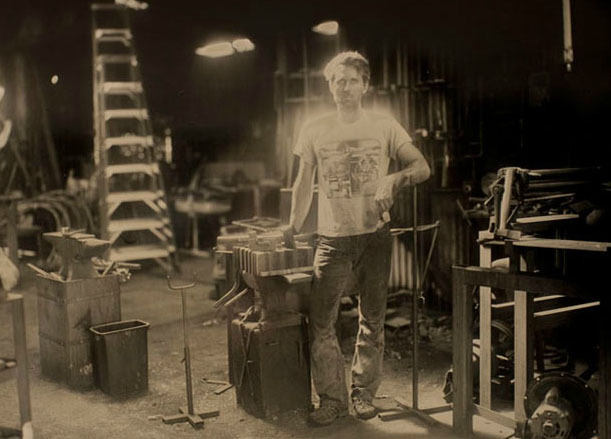 Tom Long designs and constructs furniture and sculptural pieces. He also retail domestic and exotic hardwoods. 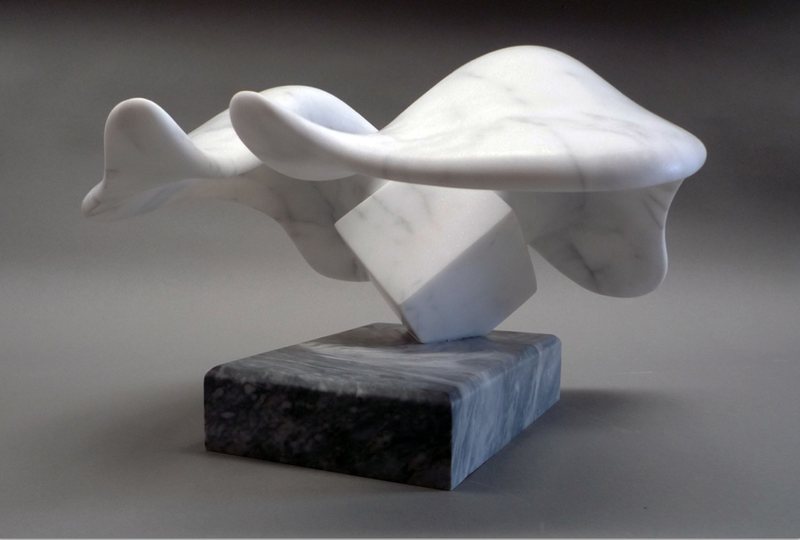 Internationally renowned bronze sculptor will be presenting works from her collection. 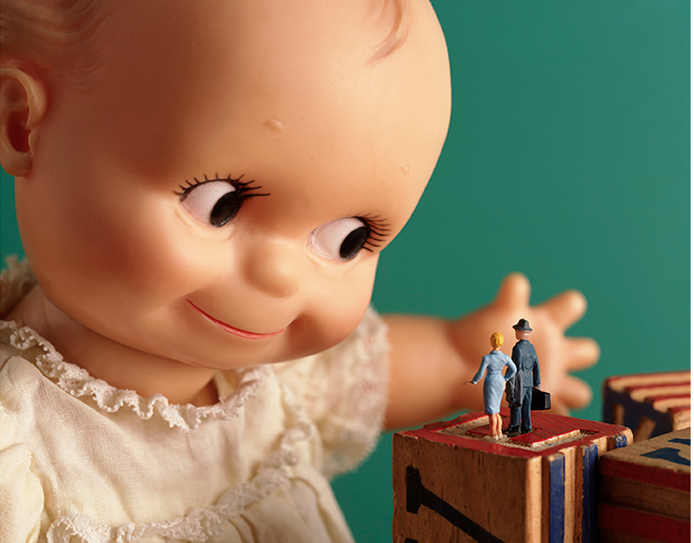 Her focus for this body of work is on realism of the human figure. Architectural Organ I / Skin explores the relationship between architecture and the body. The first piece in the series is presented as a cinematic and sculptural installation as a symbolic organ, allowing visitors to unfold their own fantastical narratives of becoming architectural bodies. Youth Interactive is an after-school program for the most underserved students, of all ages, focused on teaching Technology, Entrepreneurship and The Arts. They will be having live music, local wines, BBQ, organic salads and tapas. 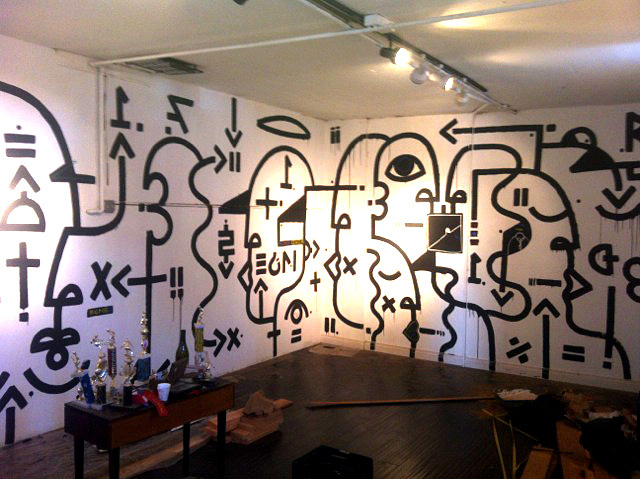 SB Art Commission will set up a Pop Up Art Gallery. All proceeds will go to help Youth Interactive.